2NDS. 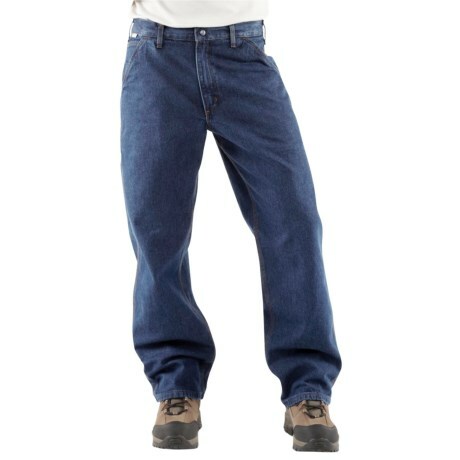 A lighter weight choice ideal for warm weather wear, Carhartt flame-resistant denim dungaree jeans are triple-stitched for durability and provide protection from flash fires. Available Colors: DENIM, CLASSIC DARK, DEEP STONE.